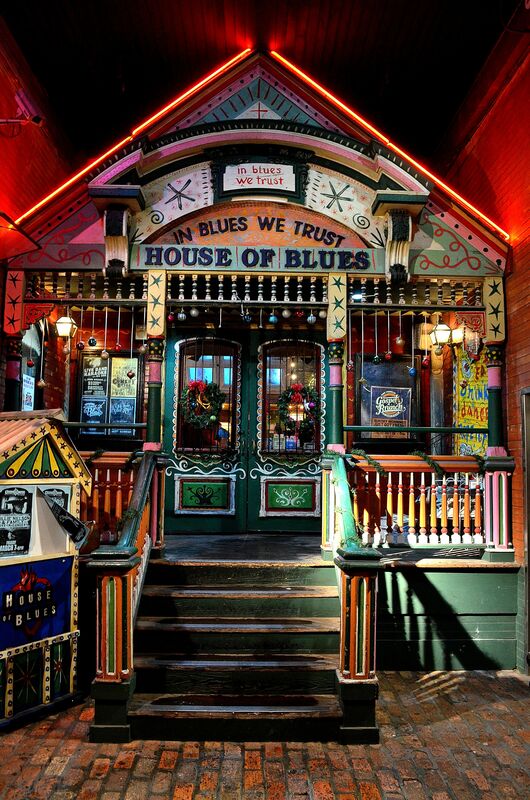 To begin with, The Southland Music Line wants to thank Rosco Bandana for inviting us backstage to a really cool ‘green room’ at The New Orleans’ House of Blues. 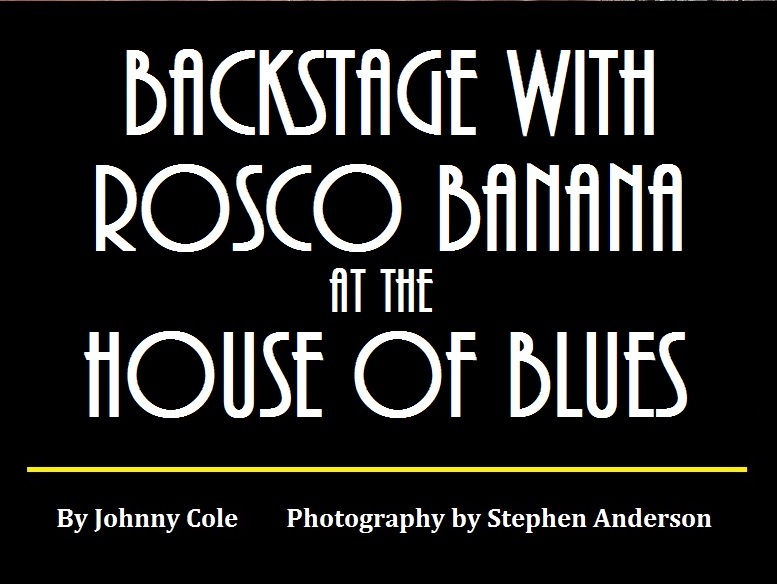 Secondly, we want to thank The House of Blues for giving “The Line’s” photographer Stephen “Andy” Anderson signed permission to take photos of Rosco Bandana at the venue’s main stage. We wanted to make mention of this evening, because it meant a great deal to us and it has always been a real pleasure being in the company of our friends, Rosco Bandana. 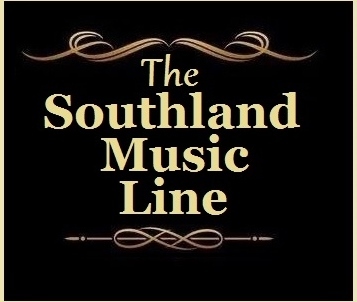 Recently in the Dec. 26, 2013 article: “The Southland Music Line: The Origin, Behind It’s Name& The Mission”, I shared how Rosco Bandana had a positive influence on my most recent venture into the world of music reporting and what would become The Southland Music Line. 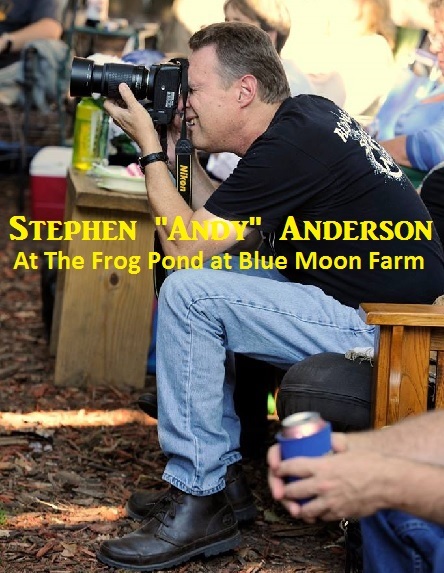 It was Jason Sanford of Rosco Bandana who introduced me to my colleagues Stephen Anderson and artist, Robby Amonett. I am eternally grateful for many reasons, but most importantly, for the friendships and the similar love of music we share. 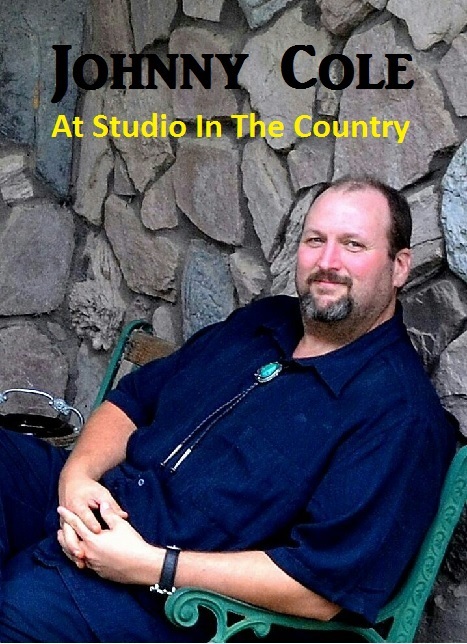 Rosco Bandana’s story has been reported many times by a wide range of online and print publications, television segments, etc. Those who have followed the band and know about their winning The Hard Rock Rising Battle of the Bands a few years ago, which led to them performing in the UK and becoming the first band signed to Hard Rock Records, are also very aware of how hard this band has worked. 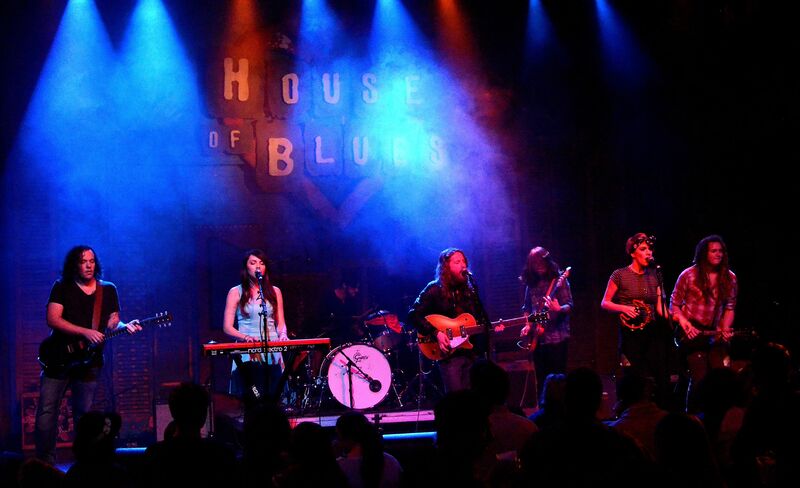 They have traveled the U.S. from one coast to the next and everywhere ‘in between’ traveling, as so many bands do, in a big van pulling a trailer. I remember the first time I saw their new van and how proud they were of it. That van has seen the miles and on a few occasions, I have found myself following it to a gig. 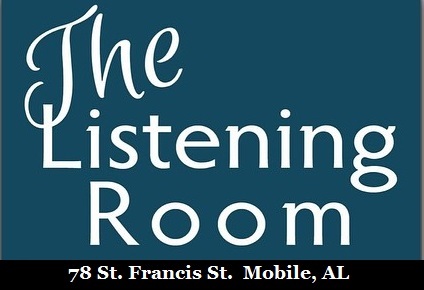 One time in particular, I was running behind and driving alone to a venue in Jackson, MS. As I made my way up Hwy 49, I figured I was going to miss the first set, which is something I hate doing. As I approached the Jackson city limits, I looked to my side, there beside me was “that van”. 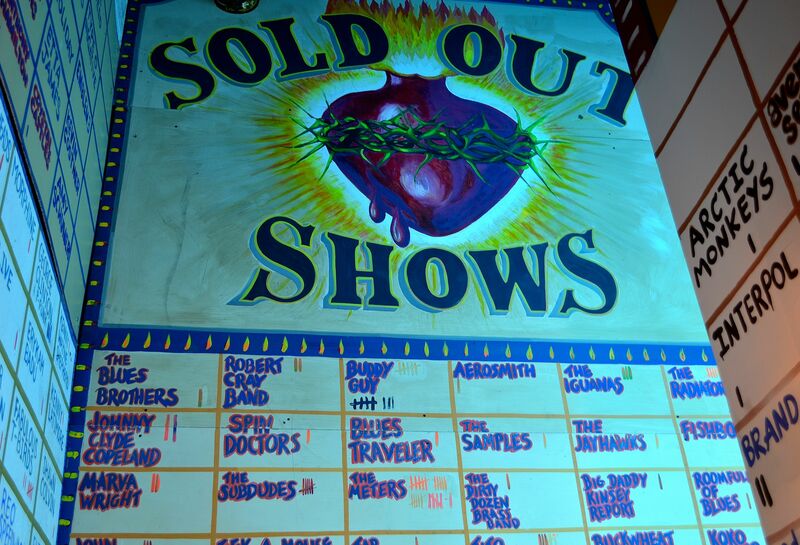 Of course, I knew then, if the band wasn’t there yet, then I surely wasn’t going to miss any set of music. 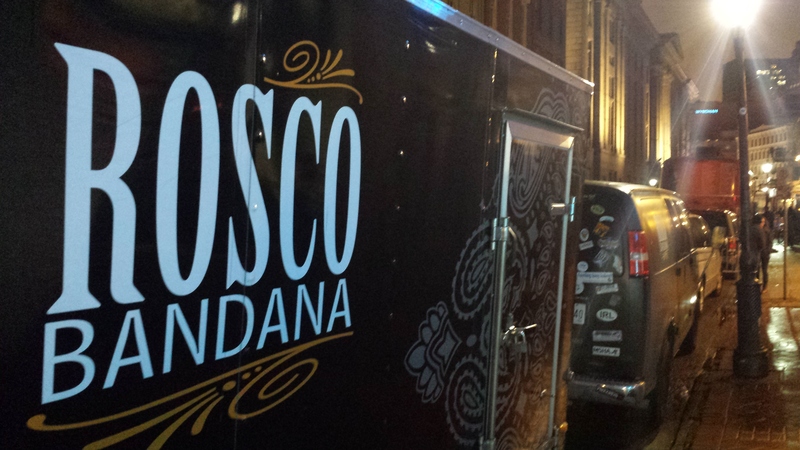 I followed the van, unbeknownst to the band, the rest of the way to the venue. One of the things I’ve enjoyed most about the months and years of following Rosco Bandana, has been seeing them grow into a highly entertaining live act. 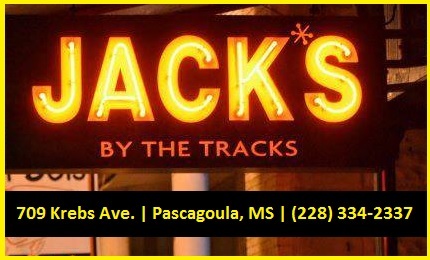 The first time I saw them at a place called “Mezo’s Juke Joint” in Ocean Springs, MS, their member line-up and sound was slightly different. But it was evident that there was a certain fire and determination to become a great band. 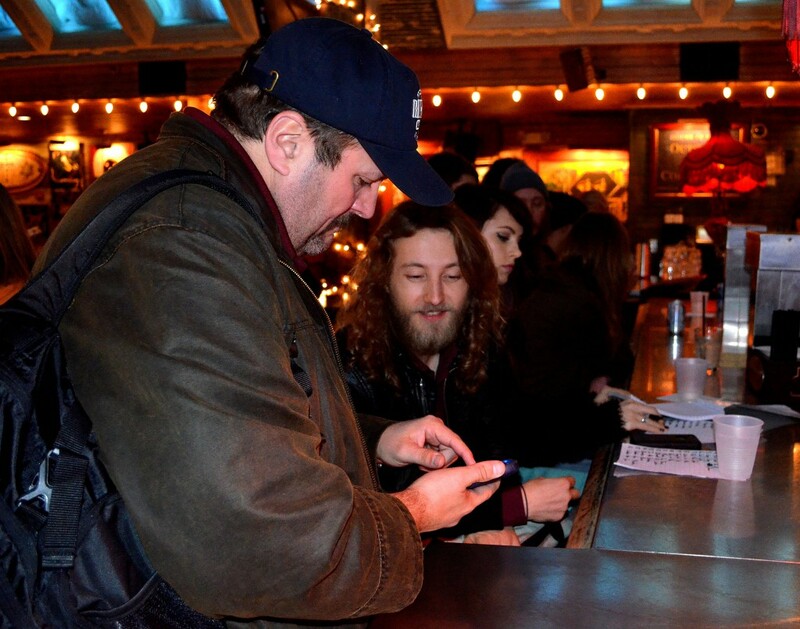 Unlike so many bands who achieve success, Rosco Bandana always showed humility and a friendly spirit not only to me, but to everyone who came to their shows. Easily,after beating out thousands of bands for the Hard Rock Rising event, Rosco Bandana could have been like many and thought too highly of themselves. They avoided that short-sighted attitude and realized it was just the start and remained humble. (It’s frustrating how many bands/artists take the other route and after achieving even the smallest of achievements become ‘full of themselves’, a sure sign of failure to come when adopting that attitude. I fear that for many I come across.) Thankfully, Rosco Bandana has never been that way. My observation is that their willingness to perform just about anywhere no matter the size of the venues; indoors or outdoors; small stage or no stage, and that it was always about the music, make them very special. Each show was given full attention whether it was multiple shows in a day and several each week. And an earmark of their shows is that they are from Mississippi, something they speak about often, being obviously proud of their Southern heritage and roots. 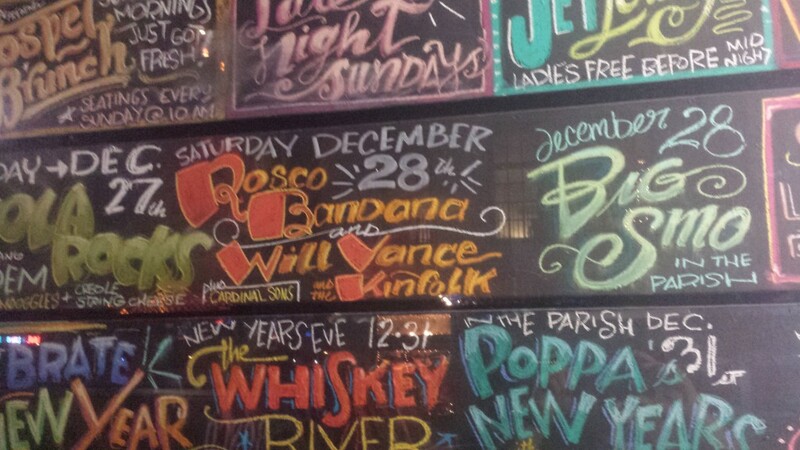 On Saturday, Dec. 28, 2013 at the House of Blues (Main Stage) in New Orleans, LA, Rosco Bandana put on one of the most memorable shows. 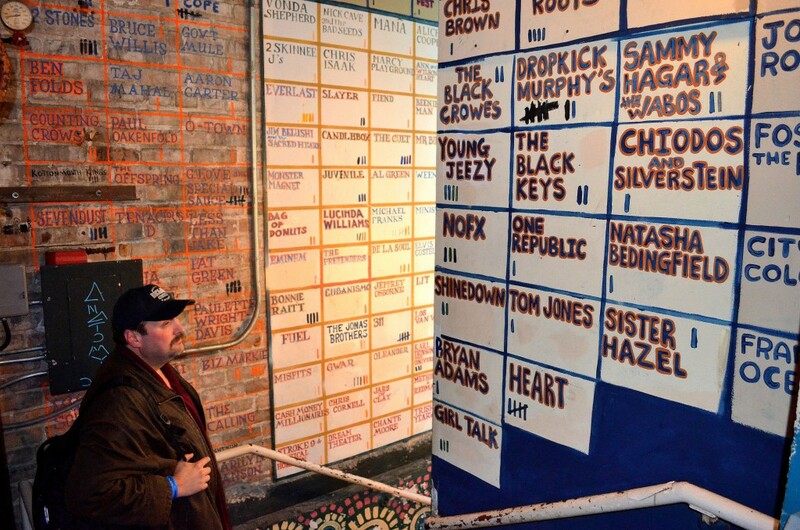 Every band or artist knows each venue has pros and cons. Sometimes the sound isn’t to the liking of the band/artist or maybe some ‘behind the scenes’ things don’t work perfectly, but from an audience standpoint, on this night what we saw was a band that looked and sounded great. Before the show, Stephen and I were invited backstage and soon thereafter, Robby showed up as well. 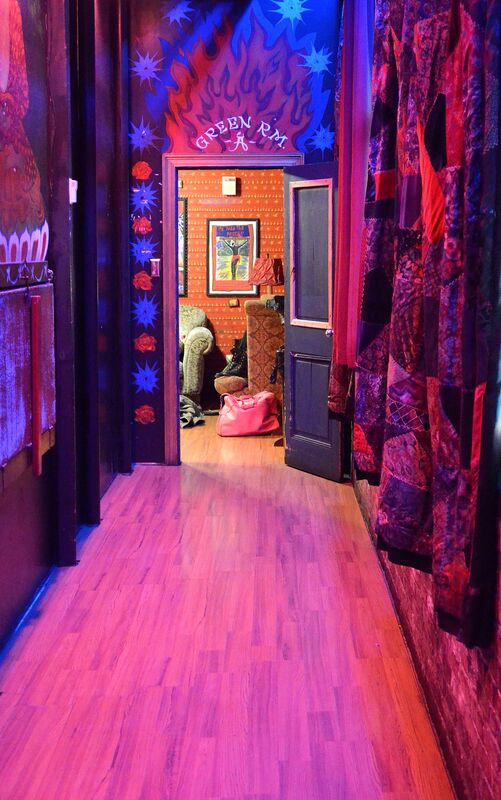 Being backstage and in the famous ‘green room’ at the House of Blues is quite an experience. 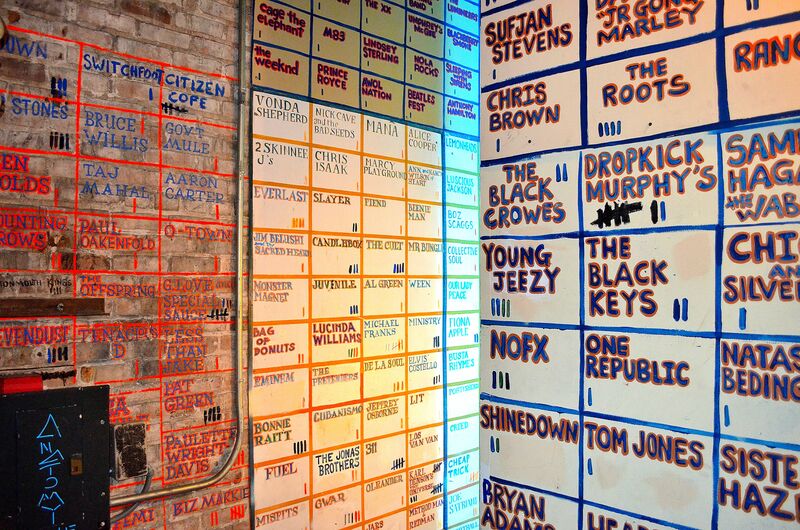 For starters, the stairway leading up to green rooms are decorated with the names of every famous band or artist that have sold out the main stage.Names like: Bob Dylan, Elton John, Fleetwood Mac, Bonnie Raitt, Lucinda Williams, Heart, Bryan Adams, Aerosmith, Kings of Leon, The Black Keys and many more. Really…and little ole me was there! I don’t know how the young performers who get to walk up those stairs to green rooms feel, but speaking from a fan of music like me, it was insane! I spent a great while reading the names. 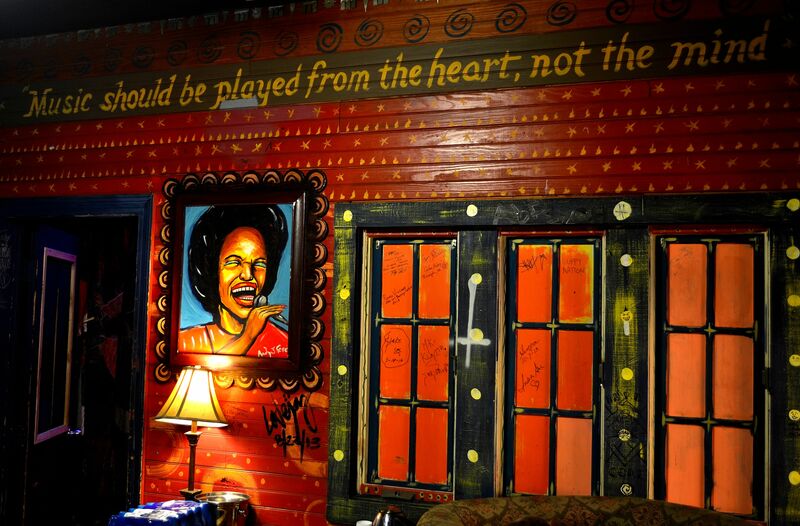 It was a very memorable night in New Orleans. 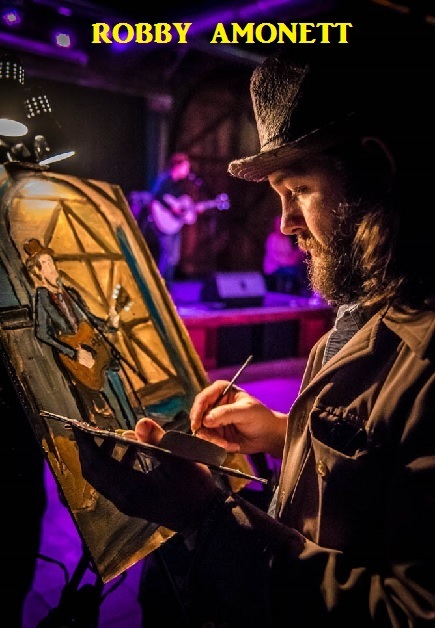 Friends and family attended the show; Robby Amonett was able paint the performances of the bands that night; Stephen Anderson took many photos before and after; AND I, well was having one of those nights that makes me love what I do and want to continuing doing. Thanks again to Rosco Bandana and The House of Blues. 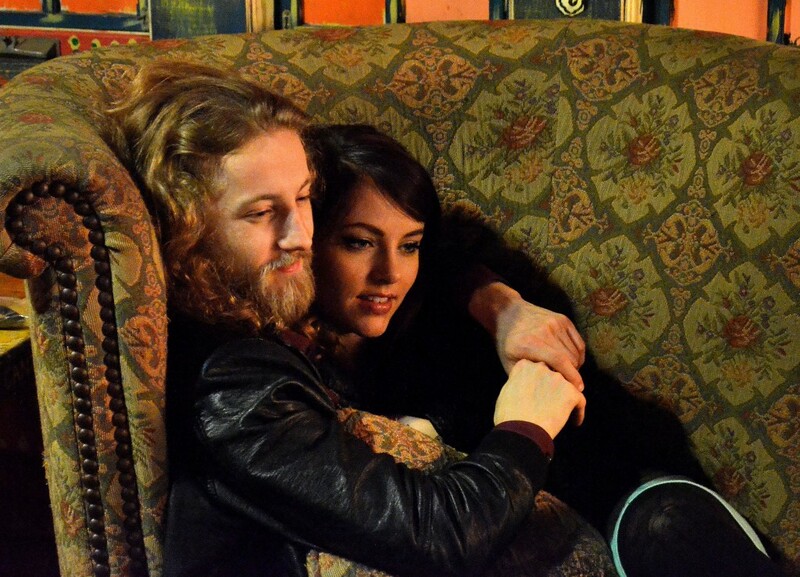 UPDATE: Rosco Bandana recently signed with a new management company and continues to tour across the country. Early 2014, they performed in the Dominican Republic at Hard Rock Punta Cana. Also anyone who goes to a Rosco Bandana show, knows many of the songs performed live are ones that didn’t appear on the debut release. Well, they have recently recorded some of those songs on a soon to be released EP. 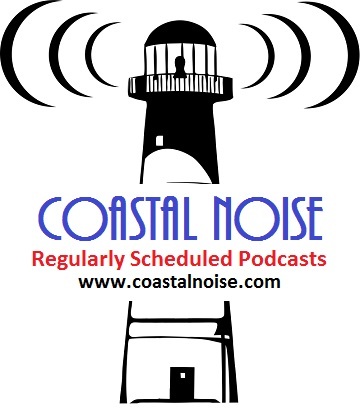 Fri. Mar 7th – Lazy Magnolia Brewing Company in Bay Saint Louis, MS.
Thurs. 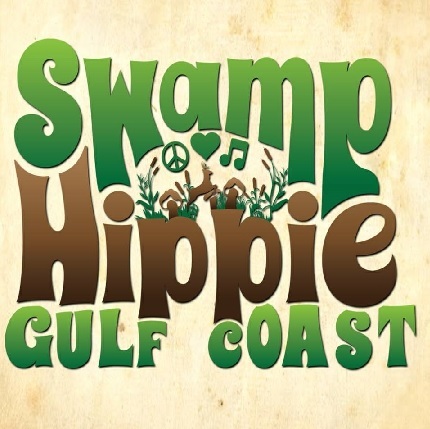 Mar 27th – Meyer Park in Gulf Shores, AL. Fri. Mar 28 – City Park in New Orleans, LA. 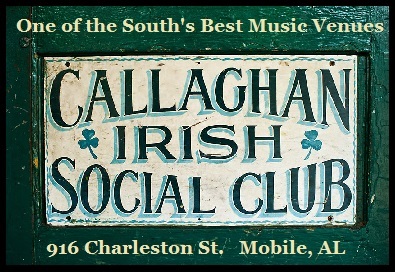 Fri. Apr 4th – Brewsky’s in Hattiesburg, MS.
Sat./Sun. Apr 26-27th – Festival International de Lousiane 2014 in Lafayette, LA. Thur. May 8th – Taste Of Alpharetta 2014 in Alpharetta, GA. Tagged Jason Sanford, Rosco Bandana, Southern Music Scene, The House of Blues. I see why you love this band. The photos behind the stage were cool.